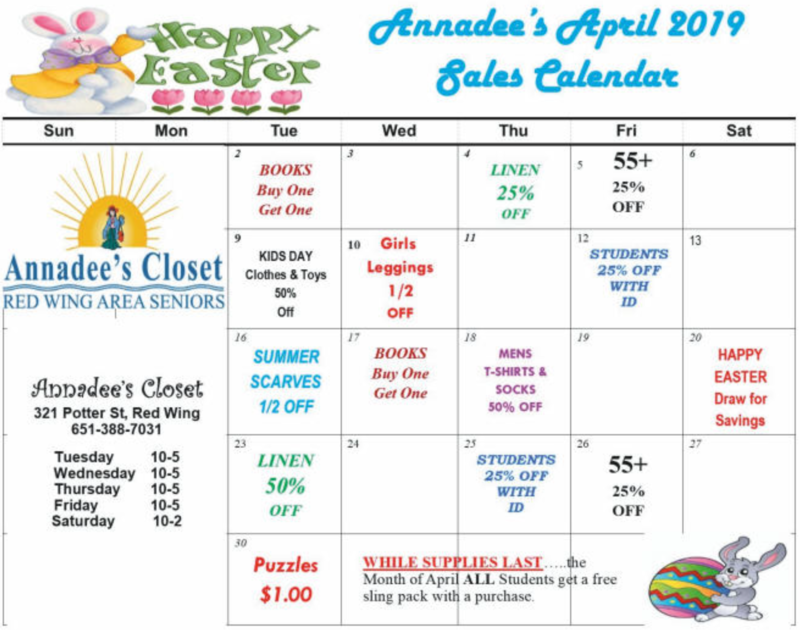 As always, we value your continued support of Annadee’s Closet by both shopping regularly and donating fantastic gently used items. 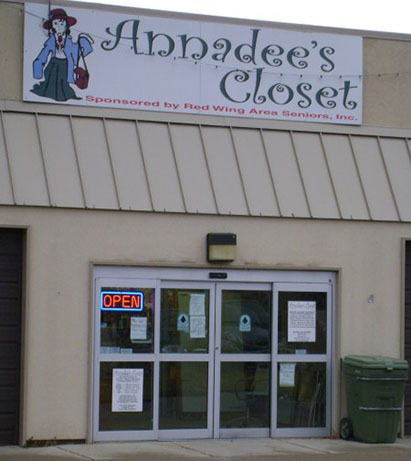 Annadee’s Closet is owned and operated by Red Wing Area Seniors, Inc. The thrift store is by far the greatest fundraiser for our nonprofit organization. Proceeds help provide programs and services for older adults and their caregivers. In addition, we merchandise to those in need. Your continued support through your donations or through your own shopping is greatly appreciated. We are pleased to accept clean, gently used women’s, children’s and men’s clothing, shoes, boots, jackets & coats, household Items, linens, toys, dishes, glassware, silverware, cooking utensils, microwaves, furniture & holiday decorations. Thank you so much for shopping at our store. We are so pleased that our friends continue to shop at the store and that new shoppers are finding us as well. Your support is appreciated. 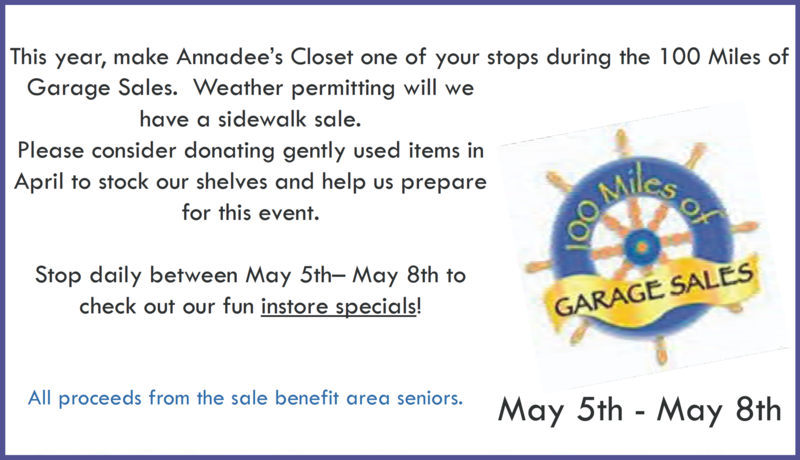 As you clean out your closets, cupboards and garages this spring, please donate your quality items to Annadee's Closet. Furniture is especially appreciated. The items you donate are tax-deductible. Buy an Annadee’s Closet tote bag for just $5. Bring it with you when you shop and receive 10% off your purchase. Annadee's Closet is looking for volunteers who crave variety and enjoy working in a retail environment. If you pay attention to detail and can handle a bit of behind-the-scenes chaos, all the better! Volunteers are needed to sort, size, price and display clothing and household items. Interested? Talk to manager Jolene King or call 651 388 7031. Hours: Tuesday-Friday 10:00am to 5:00pm and Saturday 10:00 to 2:00pm. Closed Monday.